Berkery Noyes Adds Telecom, Media and Technology Expert as Managing Director - Berkery, Noyes & Co., LLC. 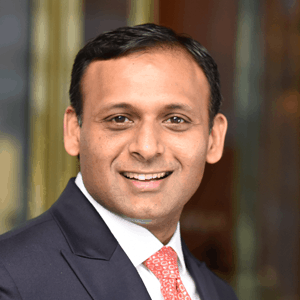 New York, NY, August 4, 2015 – Berkery Noyes, a leading independent investment bank, announced today that Vineet Asthana has joined the firm as Managing Director in the Telecom, Media and Technology (TMT) group. Mr. Asthana brings 12 years of investment banking and corporate finance experience. He focuses primarily on internet and digital media M&A transactions. Mr. Asthana has significant experience from leading bulge bracket firms and mid-market boutiques. He is well-versed in transaction structuring, execution and board-level communications, having completed more than 40 transactions totaling over $10 billion. Mr. Asthana brings a global perspective having worked in the US, London, Middle East and Asia. Prior to joining Berkery Noyes, Mr. Asthana was a founding member at CyndX Advisors, an investment and advisory firm focused on digital media, internet and technology. He was formerly a Vice President in the Telecom, Media and Technology investment banking group at Deutsche Bank and Vice President at Citigroup M&A team. Mr. Asthana is an avid squash player and was the former US National Champion. He holds a BBA from Franklin & Marshall College and an MBA from University of Chicago Booth School of Business.